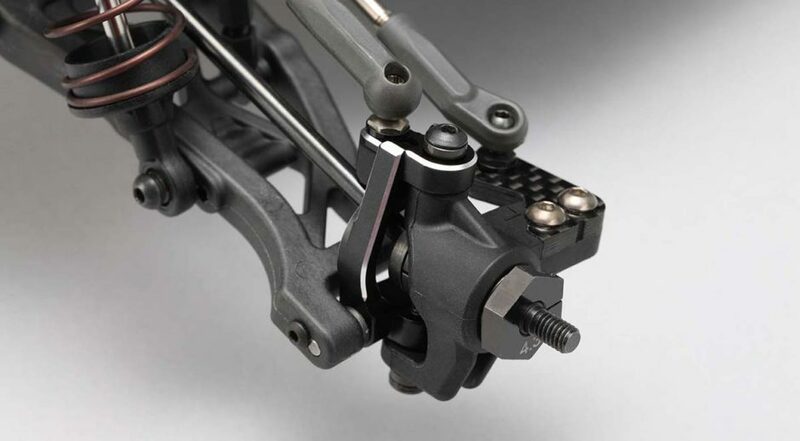 Aluminium 8 degrees C-hubs for the YZ-4 4WD buggy offer a lower caster angle than stock. They increase steering response and tuning capabilities on dirt surfaces. The parts are machined from high-quality aluminium. Come black anodised and with machined silver edge details.